The cost of living rose at an annual rate of almost two per cent in March, Statistics Canada says, as increases in the price of food, rent and mortgages were slightly offset by cheaper gasoline. The data agency said Wednesday that Canada’s consumer price index rose from 1.5 per cent in February to 1.9 per cent in March. The 1.9 per cent figure was in line with what economists were expecting. All eight major components that the index tracks were higher during the month, so the overall rate could have been even higher were it not for a 4.4 per cent drop in the price of gasoline over the past 12 months. If energy prices are stripped out, the overall inflation rate would have been as high as 2.2 per cent, Statistics Canada said. 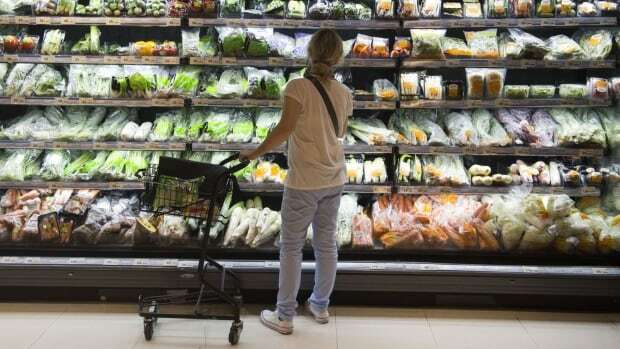 Food was a big reason for the increase, as the price of fresh vegetables has risen by 15.7 per cent in the past year, while fresh fruit prices are up by almost as much — 8.6 per cent. The price of meat, meanwhile, has gone up by much less, just 1.85 per cent in the past year. And dairy and eggs have gone up by 2.46 per cent. The price of baked goods has gone up by just under two per cent in the past year. Overall, food price inflation accelerated to 3.6 per cent in March from 3.2 per cent the previous month. Regionally, the inflation rate rose in every province, from a high of 2.6 per cent in British Columbia to a low of one per cent in Prince Edward Island.